MailBot account creator updated to version 7.21. Account creator and checker of one of the biggest ukrainian email provider Bigmir.net was implemented! Active POP3 on bigmir.net domain and antispam disabling feature are at your service. You need to recognize one reCaptcha v2 to create an account and fill out a user profile on bigmir.net. As always, the update is completely free for users of the full version of MailBot. The rest customers, as always, can buy Bigmir.net account creator and checker with 50% discount (you can calculate your price including discount here). MailBot обновился до версии 6.98. MailBot account creator updated to version 6.75. Also Meta.ua account creator was fixed. 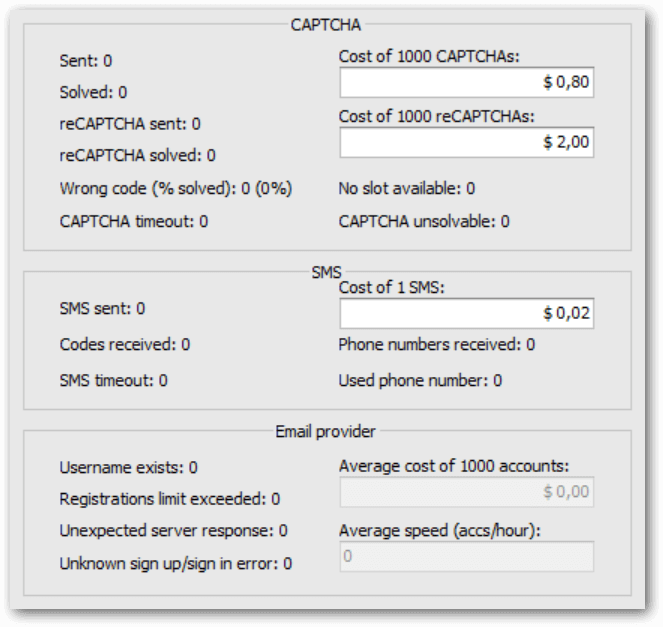 Meta.ua replaced reCaptcha v2 back to reCaptcha v1, so Meta.ua accounts are now much cheaper: only 1 regular CAPTCHA for a regular account and 2 regular CAPTCHAs for an account with POP3/SMTP protocols activated.